US crude oil closed today at its highest price since 2015 at $55.64. 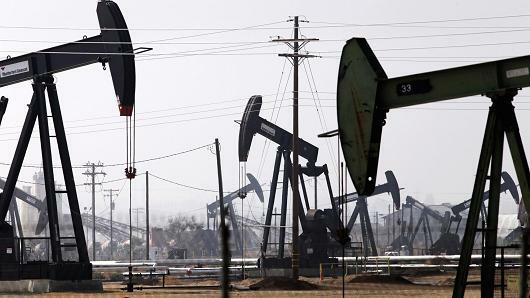 U.S. West Texas Intermediate crude traded at $55.00 a barrel, up 46 cents. WTI is around 30 percent above its 2017 low hit in June. Global benchmark Brent futures traded up 65 cents at $61.27 a barrel, after hitting a session high of $61.15. Brent has risen around 38 percent since its low in 2017 reached in June.